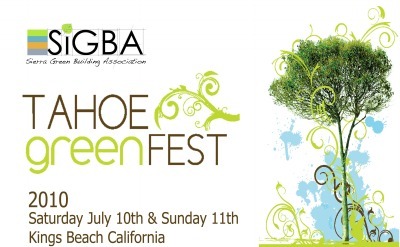 We are excited to be performing at the 2010 Lake Tahoe Green Fest on July 10th and 11th at King’s Beach. From Sigba.org: GreenFEST is an education in sustainability with green exhibits from renewable energy, interactive activities for children, and organic food vendors. There will also be beer and wine tasting.